GK Modish - professional business template from the popular development team GavickPro. This template works with all modern technology, supports a variety of mobile devices, as well as an updated administrative interface of the site. Flexible and functional built-in control panel Cpanel template gives you complete control over all aspects of the layout. Design layout includes 5 color schemes, there is a progressive download images, support for many extensions of the studio, and more. 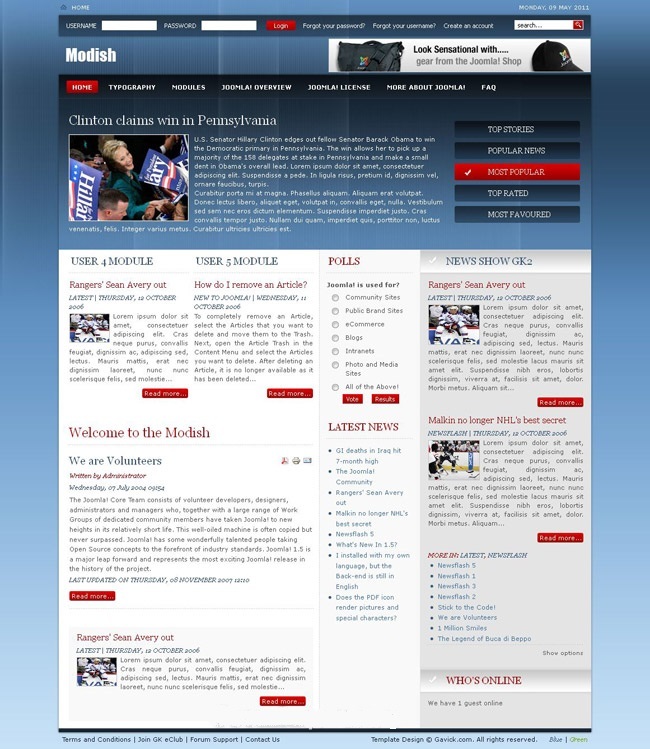 GK Modish perfect for creating business websites theme.